Those That Can, Do. And Those That Can't, Teach. Those That Can, Do. And Those That Can’t, Teach. I have seen the cliche’ of, “those that can, do and those that can’t, teach,” in many artists, athletes, musicians, etc. in my life. Most of them have been wonderfully effective and successful teachers. Just because they could not “make a living,” (at least not the living they desired to make) with their talents, skills, and/or knowledge, it does not really say everything about their abilities. There is so much competition in sports, and the arts. Most of the people I have known in these situations have been excellent teachers, and did perform their talents and skills exceptionally well, far above most of their peers, and competition, for that matter, as well. My thoughts here in this post, are about the people that I am around all the time in the schools in which the attitude, generally speaking, of today’s “professional educators,” is that parents are “behind the times,” and/or, “just not up to date.” This attitude and these ideas are clearly conveyed to the students also, the parents’ very own children! WRONG!!! I am a home schooling parent since 1999 and a U.S. certified teacher since 1993. I am also an approved standardized test administrator. 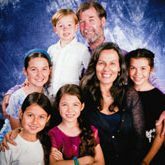 I spent 12 years full time teaching in the classrooms of public and private schools in Europe, the U.S.A. and South America, and I have been homeschooling our children with my very Wonderful, Beautiful and intelligent wife for the past 13 years, I am extremely inspired everyday to promote homeschooling and excellent home education in every way possible. How does a Cyber Evaluation Work?